The Austrian Bundesliga is gathering its first experiences this season with the new mode. Already enforced this mode in the Belgian Jupiler Pro League. After 30 games in the basic round, the league is divided and fight in the championship round six teams for the title win. The first three games of the championship round have already been completed and at the top of a battle between defending champion Club Bruges and the KRC Genk is emerging. The fourth round of the championship round will be opened with a duel between Standard Liège and Anderlecht. The hosts from Liege are in third place with 33 points and thus within striking distance of the leading duo. A home win against RSC Anderlecht, however, is imperative to maintain the mini-chance on the title. The dream of the title of the RSC Anderlecht had to say goodbye after three defeats. Rather, the top club trembles for the qualification for the Europa League. Given the current form of the two teams, Liege and Anderlecht are predicting a home victory. 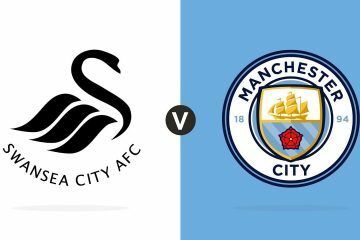 The game starts on Friday evening at 20:30. The Belgian Cup winner last season can undoubtedly be described as an extremely strong home team. The team of head coach Michel Preud’homme missed in the fall only gossamer the knockout phase of the Europa League. But all three home games, including against Sevilla FC, were won. In the league, the home team with a record of ten wins, four draws and only one defeat (against Royal Antwerp) can also be seen. 34 points in 15 home games mean the top in the home table! Accordingly interesting between standard Liege and Anderlecht, the odds of 2.25 for the home win. At the start of the championship round succeeded the table third against Royal Antwerp revenge for the only home defeat in the season 2018/19. After a 3-1 home win and an away win against KAA Gent (thanks to a last-minute penalty), the Preud’homme Elf underscored the ambitions, but was brought back to basics in the top match at Club Brugge. In the 0-4 defeat Liège was hopeless! The disaster took its course with an own goal of the only 19-year-old highly talented youngster Zinho Vanheusden. The inter-loan will be missing on Friday against RSC Anderlecht due to a yellow card suspension. For Preud’homme, however, this is the only downside. The last games of Standard Liege were by no means boring, five times in a row a tip on the over 2.5 was the right choice. In the 16 home games of the season so far, there were at least three goals in eleven games. In the top match between Standard Liege and Anderlecht a tip on the over 2.5 is certainly an interesting option. RSC Anderlecht was able to celebrate 34 championships and is thus the measure of things in Belgian football. Especially the excellent youth work enjoys an excellent reputation. Despite an extremely young average age great successes were celebrated again and again, but in recent months, the own claim could only be fulfilled conditionally. The current season on the international stage was a pure disappointment. In a group with Spartak Trnava, Dinamo Zagreb and Fenerbahce, the Belgians were unsuccessful. At that time Hein Vanhaezebrouck was still responsible, but he was released shortly before Christmas. The former Schalke coach Fred Rutten is to lead the club back to success, a balanced 5-2-5 balance is clearly not enough. Especially in recent weeks, the RSC Anderlecht slid into a tangible crisis. After the basic round – and the division of points – Anderlecht could still have calculated small chances to win the title. After all, the form was quite satisfactory after 14 points from the last six games. However, the self-confidence is now playful, because the first three games in the championship round were all lost! The Rutten-Eleven had already completed two home games! Anderlecht is in free fall and instead of the dream of the 35th title win threatens now the super-GAU. At least the Europa League qualification must reach Fred Rutten, otherwise his work is already over after half a year. This pressure is enormous and the extremely young average age is certainly no advantage in such a situation. No less than 14 of the 33 cadre players are 21 years or younger. In addition, Rutten is currently on the ex-Wolfsburg Landry Dimata (13 goals this season) renounce due to cartilage damage. Thus, the Croat Ivan Santini (14 goals) in the offensive will be on his own. For Anderlecht this season there are only “champagne or seltzer” in a foreign place. After 16 games (15 in the first round and one in the championship round), the current fifth of the championship round has an 8-0-8 record. Accordingly, the tip on the draw is not recommended between standard Liege and Anderlecht. The 34-time Belgian champions RSC Anderlecht are in the lead compared to Standard Liège (56 to 35 victories in the Belgian championship), but the last matches show a different picture. 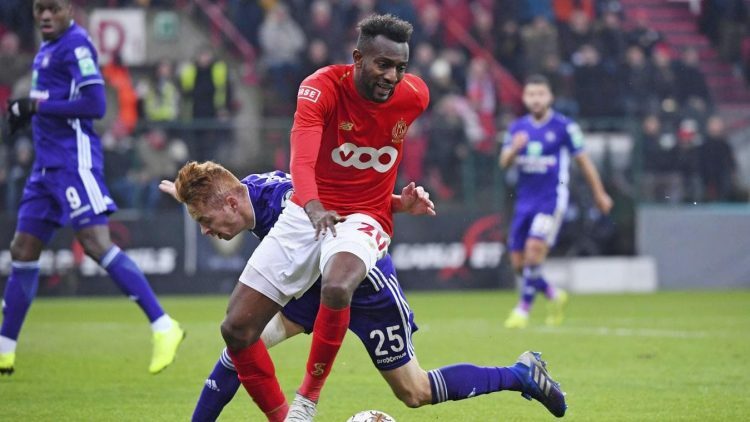 In the championship round of last season Standard Liege was able to prevail twice, in the basic round of the current season 2018/19, the home team won 2-1. Thus Standard Liège has won three of the last four direct duels with the RSC Anderelcht. Already five times in a row between Standard Liège and Anderlecht the tip on the over 2,5 was correct! Thanks to the championship round with a division of points (also known as play-off), tension is guaranteed in the season finale. Every game can be described as a top game in which a lot is at stake. At the start of the fourth – of ten – rounds in Belgium, especially the RSC Anderlecht is under great pressure. After three defeats in series, the Rutten-Elf must finally write, against the strong team from Liège but this is certainly no easy task. On the three-way market between Standard Liege and Anderlecht is certainly the tip on the home win an option. ⭐️ 11-4-1 – Standard Liège has the best home record in the Belgian Jupiler Pro League! ⭐️ The last five league games all ended with over 2.5! ⭐️ Anderlecht in free fall – the first three games of the championship round were lost! Nevertheless, the respect for the quality in the Anderlecht squad exists and with good feeling, the tip on the home win can not be recommended. A much better feeling is available between Standard Liege and Anderlecht in the tip over 2.5. The underlying statistics suggest a game with many goals. The odds of 1.80 tend to be set too high and are alluded to with seven units! The last five league games between the two teams ended each with over 2.5! In addition, both teams need the points and will act accordingly offensively.